...ly detection of and treatment monitoring for diseases that impact the retina. ... drusen, an early indicator of AMD, and (3) measure cell loss dynamics in RP. Indiana University, founded in 1820, is a nine-campus university system in the state of Indiana. 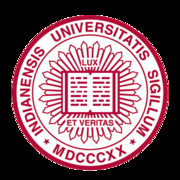 The IU system includes the following campuses: Indiana University in Bloomington (flagship campus), Indiana University East in Richmond,Indiana University Kokomo in Kokomo, Indiana University Northwest in Gary,Indiana University South Bend in South Bend, Indiana University Southeast in New Albany.